Vanessa O'Loughlin © 2 May 2013. Deny Me Not is a compelling story of land hunger, inheritance and the stigma of illegitimacy – a particularly relevant issue given the recent coverage of the hidden children and women who populated Ireland’s faceless homes and institutions. Deny Me Not, is available from www.margarethawkins.ie, from Amazon as a print book and as an e-book on Kindle, Kobo and all e-book platforms. It is also available from key independent retailers in Ireland. 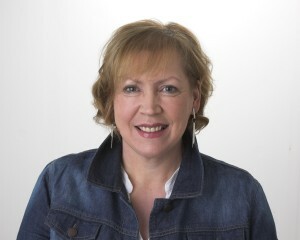 Margaret found the Alliance of Independent Authors’ information really helpful as she researched independent publishing and she sourced help from Inkwellwriters.ie to prepare the text for publication as a print book and ebook. The trigger for Deny Me Not came – as many ideas for fiction do – from dramatic real life events. In 2004 a cousin that Margaret and her family didn’t know existed turned up at her aunt’s deathbed. Her aunt had given birth to a daughter in Bethany Home in 1947 and while she had contact with her daughter all her life she had never, ever disclosed that she had a child. Deny Me Not tells the story of Hannah Casey, a 39-year-old woman who has grown up in a children’s home and never knew her father. When her mother finally discloses his name, Hannah is determined to confront the man who wouldn’t acknowledge her. Her subsequent arrival in a rural community impacts dramatically on many people including Abe Stephenson, the wealthy farmer who has always kept a firm grip on his secret, and on Leo Kemp, Abe’s nephew, who thinks he will ‘fall in’ for all his uncle’s property. How will they – and others – react, then, when the stranger returns to her mother’s birthplace? As a writer, Margaret has felt driven to focus on exclusion and expulsion in Irish society. In 2006 her first book Restless Spirit: The Story of Rose Quinn was the source of national attention when it was the subject of an RTE Flesh and Blood documentary. Restless Spirit dealt with the true story of an Irish woman who was sent away by her family, committed to an asylum, where she died shortly afterwards. Rose’s existence, like the central character Hannah in the novel, was denied by her family until many years later. Deny Me Not, like Restless Spirit:The Story of Rose Quinn continues Margaret’s abiding interest in Irish society’s hidden lives. 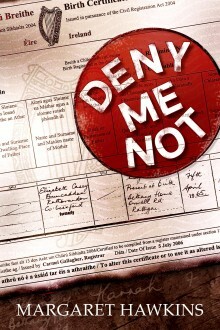 Deny Me Not is a family drama set in the heartland of Ireland. Described by Margaret as ‘agri-lit’, the book is an honest and authentic portrayal of rural farming life as well as of the secrets that can lie just below the surface. Margaret herself lives and writes on a working farm in south County Wexford and is originally from Tinahely in County Wicklow. She is the health columnist for the Irish Farmers Journal and her radio essays have been broadcast on RTE’s Sunday Miscellany. Margaret set up the imprint Bushel Press to release both Restless Spirit:The Story of Rose Quinn , and her novel, Deny Me Not.